23rd October 1917, aged 39. 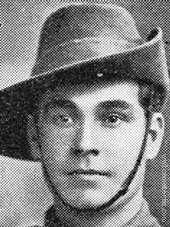 Son of Thomas Robert and Margaret Ann Kendall; husband of Ruby Millicent Kendall, of "Wingello," Kiama, New South Wales. Born at Milton, New South Wales. 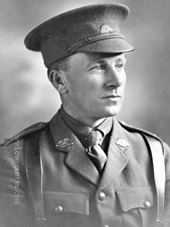 Louis enlisted in 1916 after his son was turned down on medical grounds. 26th September 1917, aged 29. 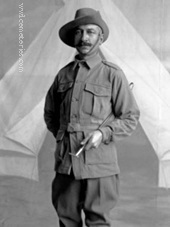 Son of William and Margaret Liddell; husband of Mary K. Liddell, of 168, Sydenham Rd., Marrickville, New South Wales. 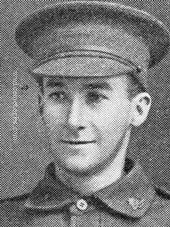 25th September 1917, aged 27. 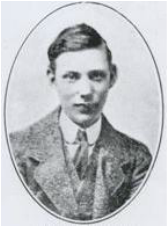 Son of William John and Elizabeth McClenaghan. Native of Sydney, New South Wales. 25th September 1917, aged 32. 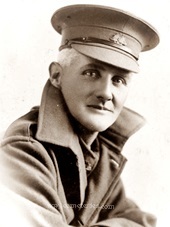 Son of Alexander and Marian Miller; husband of Belle Miller, of "Wooragee," 28, Clendon Rd., Toorak, Victoria, Australia. Native of Berwick, Victoria. 22nd February 1915, aged 23. La Chapelle Farm Special Memorial 13. Frank was a regular soldier and had enlisted aged 21 in Jarrow June/July 1912. On 22nd February 1915 after four days of heavy fighting near Verbrandenmolen, Belgium. Frank was mortally wounded and died shortly after from his wounds. He was buried at La Chapelle farm with a wooden cross as a marker. Buried alongside Frank were 12 other men, 10 from the 1st Lincolnshires, 2 from the 1st Dorsetshires and one from the 1st Bedfordshires. During the following years the little wooden crosses in the cemetery were pounded by shellfire and by the end of the war there was no trace of any graves, After the war the Commonwealth Graves Commission made a Special Memorial to those buried and lost at La Chapelle Farm at Hooge Crater Cemetery just a few kilometres. Frank had served in the Royal Navy prior to WW1 (hence the photograph of him in Naval uniform which was taken 1910-11 and which is the only surviving photograph of him). He was dishonourably discharged from the Royal Navy 5th August 1911 for striking a non commissioned officer. The photograph was taken between 10th March 1910 to 5th August 1911 when he served on HMS Monmouth a Battle Cruiser built in 1903. 21st September 1917, aged 38. 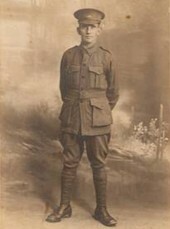 Son of Jessie Peach, of Stawell Rd., Horsham, Victoria, Australia, and the late John Peach. 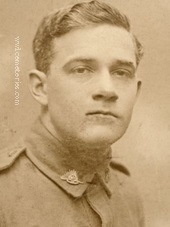 21st September 1917, aged 21. 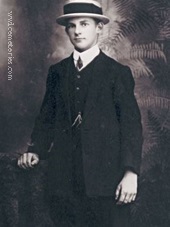 Son of William James and Mary Jane Reed, of 16, Frank St., Boulder, Western Australia. Native of Broken Hill, New South Wales. Son of Thomas and Margaret Sowter; husband of Linda May Overall Sowter, of Onslow St., Granville, New South Wales. 25th September 1917, aged 21. 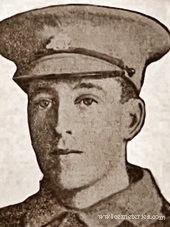 Son of Mary Thomas, of 427, Armstrong St. South, Ballarat West, Victoria, Australia, and the late William Thomas. Native of Ballarat, Victoria.